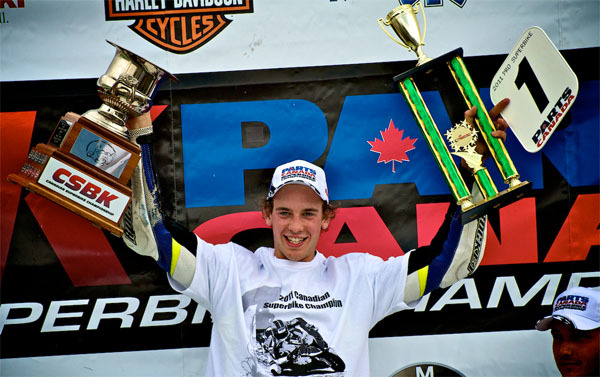 Calgary, Alberta – Parts Canada proudly announces its support to 2011 Canadian Superbike Champion Brett McCormick for his 2012 season with Effenbert Liberty Racing. The talented 20-year-old from Saskatoon, Saskatchewan, will compete in the Superstock 1000 FIM Cup aboard the new Ducati 1199 Panigale. Brett will be at the Parts Canada booth Fri – Sun at the upcoming Vancouver Motorcycle Show, which runs January 19 – 22, 2012. Please come by to say hello and join us in welcoming Brett to the Parts Canada family. Posted on January 17, 2012, in CSBK - Canadian Superbike Series. Bookmark the permalink. Leave a comment.